An electric current generates Joule heating, and under steady state conditions, a sample exhibits a balance between the strength dissipated by the Joule effect and the heat exchange with the environment by radiation and convection. In the present paper, theoretical model, numerical FEM and experimental methods have been used to analyze the radiation and free convection properties in CFRP composite samples heated by an electric current. The materials employed in these samples have applications in many aeronautic devices. 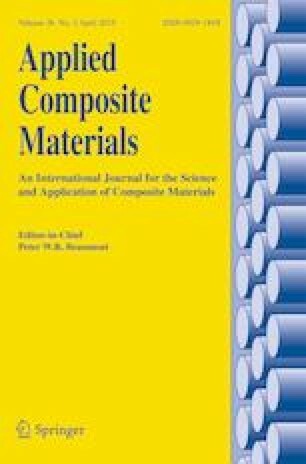 This study addresses two types of composite materials, UD 8 and QI [45/90/−45/0]S, which were prepared for thermoelectric experiments. A DC electric current (ranging from 1A to 8A) was injected through the specimen ends to find the coupling effect between the electric current and temperature. An FE model and simplified thermoelectric analysis model are presented in detail to represent the thermoelectric data. These are compared with the experimental results. All of the test equipments used to obtain the experimental data and the numerical simulations are characterized, and we find that the numerical simulations correspond well with the experiments. The temperature of the surface of the specimen is almost proportional to the electric current. The simplified analysis model was used to calculate the balance time of the temperature, which is consistent throughout all of the experimental investigations. All partners of the research are gratefully acknowledged and some supports from CAUC Tianjin are gratefully acknowledged (Projects of CAUC:2016SYCX04, and MHRD20160105).